Free Shipping Included! 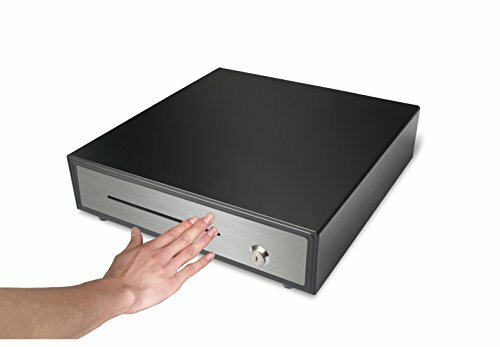 HK Systems 16'' Heavy Duty Black Manual Push Open Cash Drawer 5Bill/5Coin Stainless Steel by H K SYSTEMS at Community Frontiers. MPN: FBA_HK System. Hurry! Limited time offer. Offer valid only while supplies last. 16''x16'' Manual PUSH Cash Drawer. 5-Bill 5-Coin Till with Single Front Media Slot. ''Stainless Steel'' Drawer Front with Black Body(1mm thick steel). If you have any questions about this product by H K SYSTEMS, contact us by completing and submitting the form below. If you are looking for a specif part number, please include it with your message.